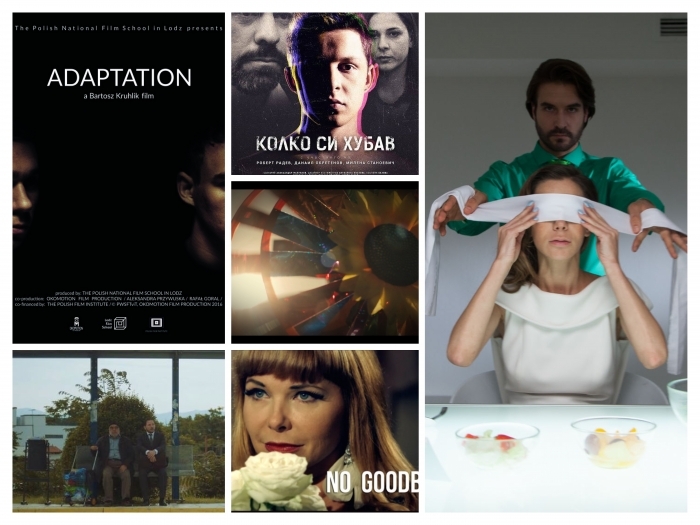 Clockwise from up-left: Adaptation, You Are Beautiful, The Test, No Goodbye, Bus 43. Middle: In Ribbons. The Test by Teresa Czepiec | Poland | 2015 | 25′ | Shorts Competition: The Female Perspective | A young woman decides to test herself in a special institute to judge, if she has a potential to become a celebrity. She had never expected how much she will discover about herself during tests. 1. Structural or functional evolution of an organism towards higher survivability. 2. Process of an individual becoming better suited to environment and more resistant to outer stress. 3. The ability of eyesight to adjust to seeing in the dark. Bus 43 by Alexis Lazaridis | Greece | 2015 | 16′ | Shorts Competition: Focus On Balkan Cinema | The film deals with the story of a wealthy man who makes a “journey” incidentally with the public bus of the line, where he encounters some moments of his life that have marked his past. More specifically, he contacts with the bus passengers, who are reminiscent of his past at the most crucial periods of his life. Ηis closest passenger is an old ragamuffin, who operates as a deus ex machine, by giving him advices and holding a different attitude than usual. The ragamuffin releases this man from the oppression. In Ribbons by Marie-Valerie Jeantelot | Ireland | 2014 | 10′ | Shorts Competition: The Female Perspective | It is 1968, and in a silent room, Laurie, aged 5, surrounded by her dolls and toys, waits for her father to return home. You Are Beautiful by Hristo Poriazoff | Bulgaria | 2015 | 15′ | Shorts Competition: Focus On Balkan Cinema | A short story about a very special day in the lives of three people. Each of them learns a secret about some of the other two and each of them doesn’t know something that the others do. No Goodbye by Ludo Vici | Germany | 2016 | 14′ | Shorts Competition | It was a performance to remember and for sure, she was the guiding light of the evening. But then, a glance in her dressing mirror changes everything. Who is the stranger in her dressing room, obviously not being impressed by her?